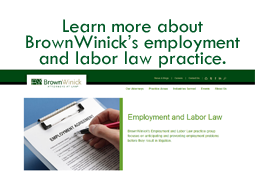 The U.S. Department of Labor announced a final rule on September 17, 2013 that extends the minimum wage and overtime requirements of the federal Fair Labor Standards Act (FLSA) to most home health care workers. Effective January 1, 2015, the “companionship” exemption of the FLSA will be narrowed, extending minimum wage and overtime protections to millions more certified nursing assistants, home health aides, personal care aides, and other workers offering similar in-home, direct care services to the elderly, injured, or disabled. Although the FLSA covers other domestic service workers, it has long-provided an exemption for those who perform certain in-home companionship services. “Companionship services” are services for the care, fellowship, and protection of those who cannot care for themselves due to advanced age or infirmity. This has included, for example, meal prep, washing clothes, and general household work. The amendment narrows this exemption. Beginning January 1, 2015, many workers offering these in-home care services will be subject to federal minimum wage and overtime requirements. Under the new rule, where a home health aide is employed only by the person receiving the services (or that person's family or household) and the worker is engaged in primarily fellowship and protection (i.e., engaging the person in social, physical or mental activities, providing company, etc. ), he or she will remain exempt. Third-party employers of home care workers, however, will likely be significantly impacted.